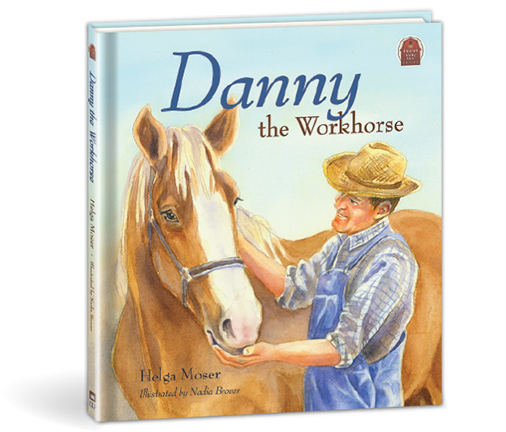 When Farmer Don called the horses in for oats in the morning, Danny would stay in the far corner of the pasture. When Farmer Don put Danny’s harness across his back, Danny would pretend to be terribly sick. Farmer Don and Missus Dora were worried. How would Farmer Don get all the work done if Danny refused to help? Then some oatmeal cookies gave Missus Dora an idea, and Danny learned a valuable lesson. Fine watercolor paintings illustrate book one of the Pleasant Valley Farm series.